We offer high quality service at low prices for budget travellers. 'Run by travellers for travellers'. Since 2005 Recommended by Lonely Planet 2017 edt. Let's Go, Michael Muller Verlag... The entire hostel was completely renovated inside and out in November 2016. We put in new bathrooms, new beds (with an individual reading light and electrical outlet), new furniture, new floors and new decorations.We also installed new doors which close without making any noise, with electronic card locks for added security. Designed for your maximum safety and comfort. Metropolis Hostel is located in the historical old city of Istanbul. It's just a few mins from the Blue Mosque, St. Sophia, Topkapi Palace, Underground Cistern and Historical Turkish Baths... just 10 mins to Grand Bazaar and Spice (Eqyptian) Bazaar... just 30 mins to Taksim... and just 20 mins to Asian side by historical boat. 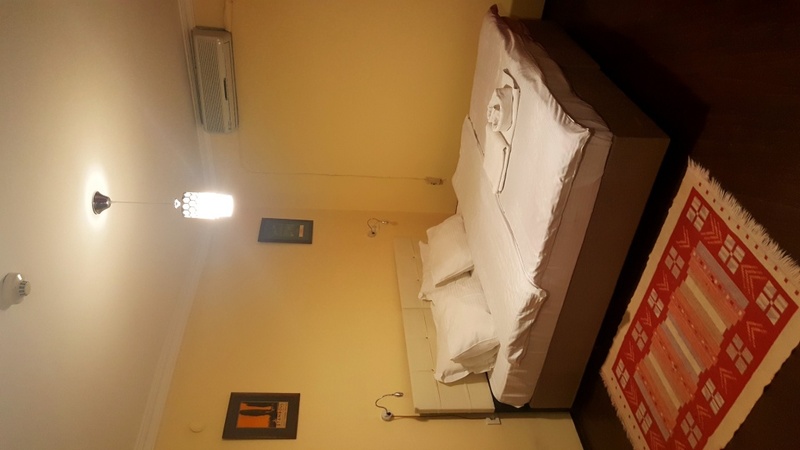 Choose your bed from four bed or six bed mixed dorms, , double rooms with shared bathroom and ensuite or family room ensuite. All rooms , including dorms have air conditioning and most rooms have stunning views of the Marmara Sea, the Bosphorous, Prince's Islands and the Asian shore. All rooms have comfy mattreses including dorm beds. Our hostel is very secure with 24 hour reception and a safe box in which you may store your valuables. Very clean and great showers with 24 hour running hot water. You can meet people from all around the world in our common areas. We have one covered common room as well as a roof top terrace area, both of which have great views of the Marmara sea, Blue Mosque and St. Sophia. You can eat your free breakfast on this great terrace. We also serve lunch, dinner and BBQ. Each week we host a BBQ party on our rooftop terrace, followed by a pub crawl to Taksim (the centre of nightlife and live music in Istanbul). You can try traditional and very tasty Turkish food at our famous associated Babylonia Restaurant (which is just 20 metres from our hostel and on the very busy and popular backpacker street). High speed Wi-Fi available in the rooms, on the terace , restaurant & bar for free of charge. We have a big screen television to watch cable tv to keep in touch with the world, watch movie channels, sports. Our travel agency can arrange all your travel needs with international-domestic flights, special city tours, dinner cruise by night, ANZAC tours (Troy & Gallipolli), Cappadocia, Ephesus, Pamukkale tours, belly dancing show with dinner (Turkish night) and Turkish bath. Our hostel is located near bus, tram and train transport. Our airport pick up service is 25 euros from Ataturk airport and 60 euros from sabia Gokcen. We do organise cheap shuttle bus service to the airports as well. Our hostel is children friendly (required private room booking for guests with children ) Please note: We welcome travelers of all ages. We ask, however, that travelers over 40 years old can book only into private rooms, and not shared dorm rooms. Our English, French, German and Spanish speaking staff will take care of you to make your stay even better. They will provide you newest information, good recommendations, hidden gems. We are looking forward to welcome you in our charming METROPOLIS HOSTEL in istanbul city.